Vodka brand's activation will feature hot cocktails and food. Grey Goose, the vodka brand owned by Bacardi, is creating a French winter wonderland experience. The activation, located in the courtyard of The Langham hotel in London, runs from 21 November until February. It aims to bring a "taste of French opulence" to Londoners with hot and cold cocktails. 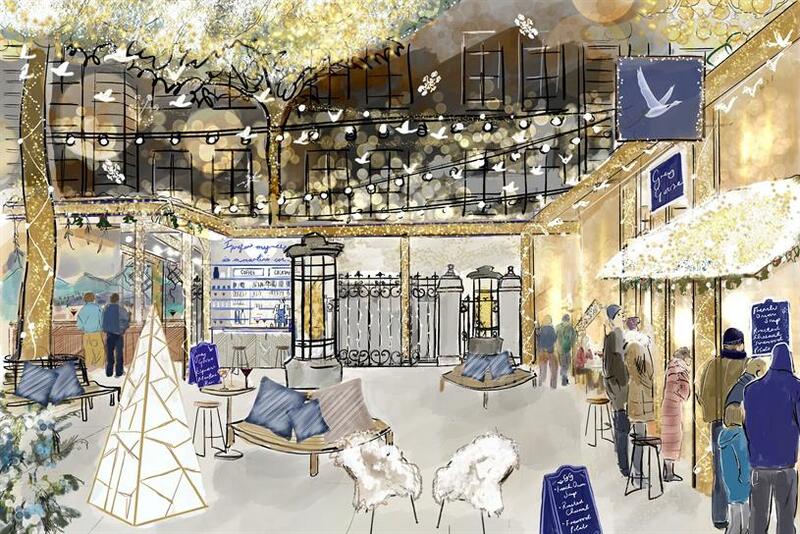 Grey Goose will be serving festive food from a woodfire, such as pomme de terre au four and warm Vacherin Mont d’Or. The experience is described as a "chic rustic hideaway" and will feature Christmas trees, fairy lights, benches for guests, blankets and a bar.